Get your Rebel Rebel on with Daniel Silverstein’s “zero waste” David Bowie sweatshirt—a tribute to our favorite Space Oddity. Part of Silverstein’s “ZWD” line of 100 percent upcycled staples, each topper comprises high-quality cutting-room fabric scraps, pieced together by hand in Brooklyn. Fun fact: The sweatshirt ships in mason jars to “complete the zero-waste experience,” according to Silverstein. Another plus? No two garments are alike, which means your sweatshirt will be as unique as the Thin White Duke himself. 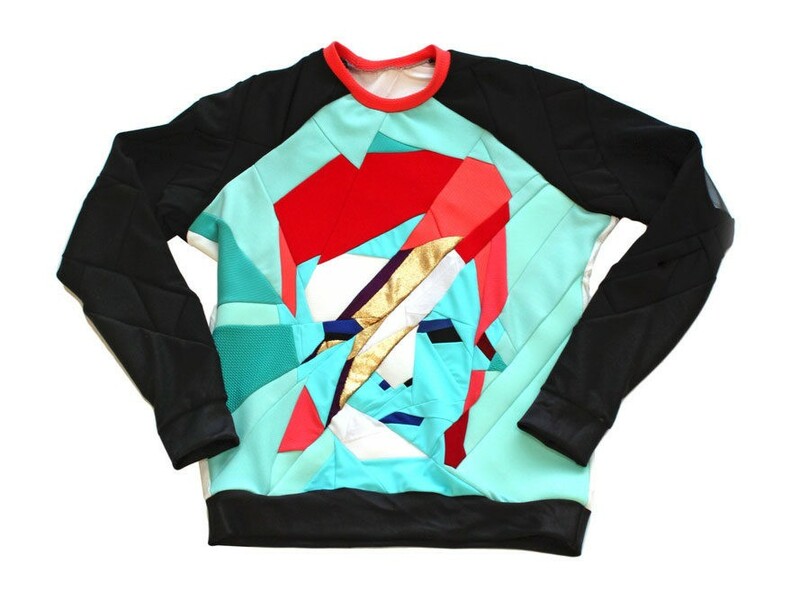 Get your Rebel Rebel on with Daniel Silverstein's "zero waste" David Bowie sweatshirt�a tribute to our favorite Space Oddity. Part of Silverstein's "ZWD" line of 100 percent upcycled staples, each topper comprises high-quality cutting-room fabric scraps, pieced together by hand in Brooklyn. Fun fact: The sweatshirt ships in mason jars to "complete the zero-waste experience," according to Silverstein. Another plus? No two garments are alike, which means your sweatshirt will be as unique as the Thin White Duke himself.